Career Exploration is an introductory course designed to assist students in (a) discovering their personal strengths and abilities, (b) understanding opportunities available to them in different career areas, and (c) practicing skills necessary to excel in the workforce and in postsecondary learning. Upon completion of this course, proficient students will know and exhibit soft skills (e.g. teamwork, creative thinking, and problem solving), as well as more technical skills (e.g. résumé building and written communications) related to career exploration and experience. Students will also learn about and be exposed to existing CTE pathways and elective focus options within a high school setting and will learn how to successfully transition into a district recognized career academy or program of study. This course is designed to develop computer technology skills. Students will use a variety of computer software and hardware tools and features of an electronic information network. Students will explore the social, business, and ethical issues of using computer technology. 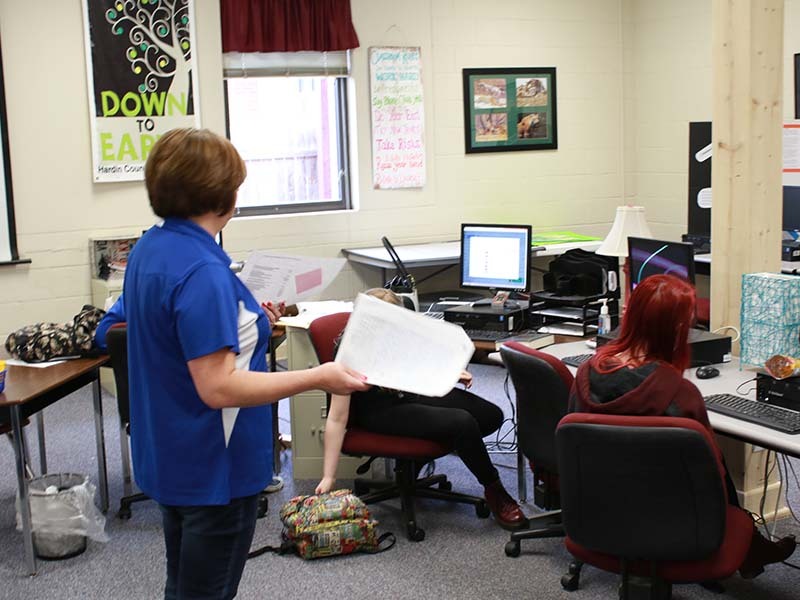 The students will develop skills that will assist them with efficient production of word processing documents, spreadsheets, databases, and presentations. Marketing and Management I: Principles focuses on the study of marketing concepts and their practical applications. Students will examine the risks and challenges that marketers face to establish a competitive edge in the sale of products and services. Topics covered include foundational marketing functions such as promotion, distribution, and selling, as well as coverage of economics fundamentals, international marketing, and career development. Upon completion of this course, proficient students will understand the economic principles, the marketing mix, and product development and selling strategies. Retail Operations is designed to challenge students with the real world of supply chain management and merchandising services. The standards in this course are designed to prepare students with skills and knowledge related to buying, selling, human resource management, business operations, product management, promotion, and customer service. Decision-making skills, financial management, customer relations, ethics and legal issues are also addressed. Upon completion of this applied knowledge course, proficient students will have skills essential for entering careers as retail associates at entry and mid-level management as well as be prepared to enter postsecondary programs in business and marketing. The content lends itself to both work-based learning and school-based enterprises opportunities.